16th Malaysia International Halal Showcase (MIHAS) April 3-6, 2019 at MITEC-Kuala Lumpur, Malaysia. Fruit Expo 2019 June 27th -29th , 2019 at China Import & Export Fair Complex. Alhuda CIBE offers trainings that are regular, and their quality is very good. 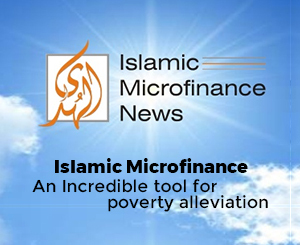 There are only fewer organizations which are giving trainings of Islamic banking to young professionals that is much appreciable. President of Chief Executive Officer, Dawood Islamic Bank Ltd. This is a great initiative to aware & educate the people and spread the message of Islam. ALHUDA is doing a very good job and we must be promote it. The achievements of Alhuda CIBE are wonderful. AlHuda should also introduce some courses to Islamic scholars so that they could have conventional banking trainings as well so that their knowledge of supervision should be two pronged in order to judge the both systems. I would once again applaud the efforts of Al Huda CIBE for arranging the Conference, Trainings and workshops and hope that Alhuda CIBE will be successful in meeting the objectives and contribute to further developments of Islamic banking in Pakistan and abroad. I appreciated the effort of AlHuda CIBE to spread Islamic Banking Awareness and Education through Conferences, Magazines, Workshops and Trainings. I wish Alhuda CIBE may attain the sublime grandeur in fame and development. Although AlHuda CIBE is our competitor but we love to support Alhuda CIBE as it facilitates people to learn various aspects of Islamic banking and finance. We will keep on helping each other for the promotion of banking and finance knowledge in Pakistan and all over the world. I would like to thank AlHuda Centre of Islamic Banking and Economics to work for the first initiative towards spreding the knowledge of islamic banking and finance in Afghanistan. Through signing MoU, with AlHuda CIBE & Halal Research Council (A subsidiary of AlHuda) we will work closely for the promotion on Halal industry in the world. It was a very significant moment.